Looking for the perfect gift for your favorite embroidery enthusiast? Check out these top 10 ideas for perfect presents and the ultimate embroidery-related stocking stuffers. Embroidery aficionados love gadgets and tools, especially those that are collectible or save them time. Whether you have a person who's new to embroidery, or a seasoned embroiderer in your household, or perhaps are one yourself and would like to drop a gentle hint or two, you’re going to want to print out this list and post it to the fridge. Fashionable and functional, this soft denim fabric is durable yet stylish, and the various storage pieces are perfect for holding unfinished projects and materials for stitching while traveling. The tote is loaded with DMC goodies including a DMC Color Variations Floss Pack (includes 10 beautiful floral designs and 1 skein each of colors - 4020, 4040, 4050, 4060, 4100, 4120, 4160, 4170, 4180, 4190, 4220, 4240), a pack (14" x 18") of DMC 28-count Cream Linen Needlework Fabric, a pack of 18k gold plated DMC Tapestry Needles (includes 2 each of sizes 24 and 26), and their collectible Peacock Scissors. Take your stitcher on the trip of a lifetime by enrolling him/her in a class or workshop in a favorite domestic or international destination. Several options including the Koala Conventions in Australia, the Royal School of Needlework in the United Kingdom, or the Japanese Embroidery Center. Embroidery and needlework cruises like Stitch aHoy or seminars like those offered by the Embroiderers' Guild of America (EGA) are also terrific travel options. Your embroidery enthusiast will be so excited to meet with other embroidery enthusiasts, she or he might even take you along! Give your embroidery enthusiast the gift of light—really good light. Working small embroidery stitches for hours at a time can be hard on the eyes. Using the proper lighting can help avoid eye strain while stitching. Many lights designed for stitchers also include a handy magnification attachment, and are available in floor standing or tabletop models. A wide assortment of lighting can be found at most sewing and fabric stores. Give your stitcher a gift certificate in any amount to his or her favorite needlework store. A gift is always appreciated, and there’s no need to worry about purchasing the wrong gift—you’ll always get it right. Check with your local needlework retailer for certificates, or purchase one through a reputable online needlework source. Embroidery scissors are an essential part of any stitcher’s workbasket. Whimsical, traditional and shaped scissors are available and fit nicely into a stocking. Scissors can be shaped like birds and animals, mythical creatures (the scissors shown in the photo feature a mermaid motif), houses or flowers and are as nice to use as they are to admire. Needle Minders like these from The Stitchery keep a stitcher’s embroidery needles safe and secure while working on a project, and come in a wide range of styles and sizes—and they can be very collectible. 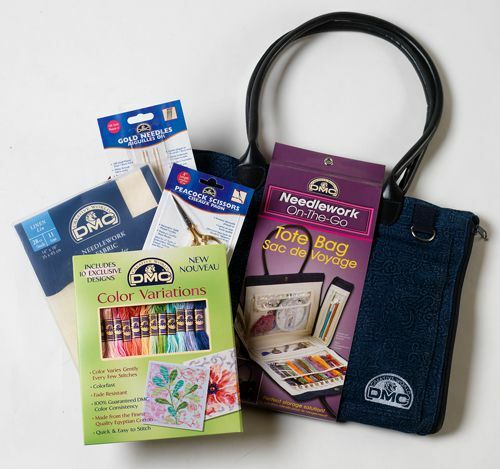 Specialty Thread packs or collections like these from DMC are gifts any stitcher can enjoy, and they can be used for a wide range of embroidery types, from surface embroidery to cross stitch. Select packs or collections assembled by color family or thread type. Embroidery thread gift packs are available for embroidery floss, pearl cotton, metallics, silks or other threads. Fine Gold Plated Embroidery Needles are luxurious to stitch with, and come in a wide range of sizes. Perfect for stitchers with nickel sensitivities, or those who enjoy a little luxury now and then. In spite of being gold plated, they’re relatively inexpensive and make a perfect stocking stuffer. Include several different sizes and your stitcher will always have the perfect needle on-hand. Boxes like this one from Madeira are as pretty to display as they are to use. Filled with your stitcher’s favorite thread like these fine silks, they’re a gift her stitching friends are sure to drool over. 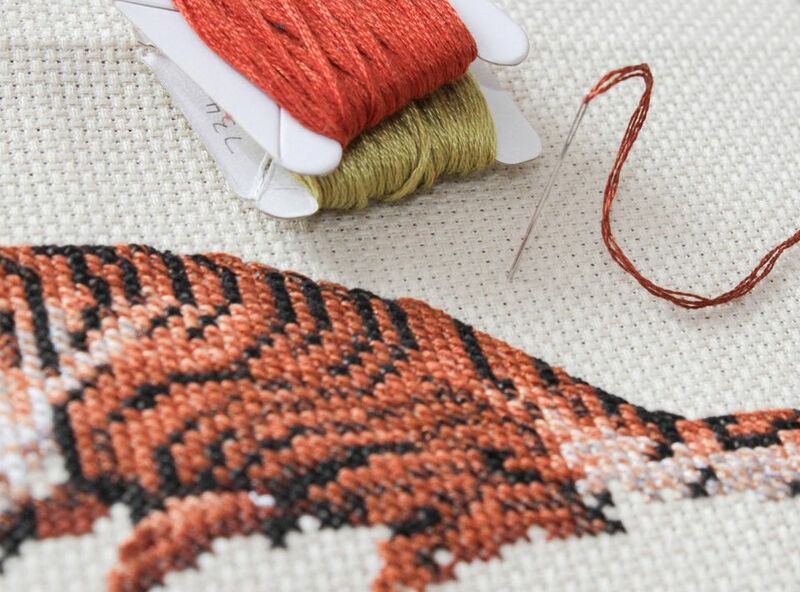 Printed reproductions of vintage needlework patterns and books, postcards or needlework treasures like these from Sajou, are a welcome addition to any stitcher’s pattern collection and will provide hours of inspiration. You can find them in quality needlework stores and some stationery stores. 10 Sweet Embroidery Patterns for Tea Time!